University of Westminster Press, 9781911534327, 302pp. Taste usually occupies the bottom of the sensorial hierarchy, as the quintessentially hedonistic sense, too close to the animal, the elemental and the corporeal, and for this reason disciplined and moralised. At the same time, taste is indissolubly tied to knowledge. To taste is to discriminate, emit judgement, enter an unstable domain of synaesthetic normativity where the certainty of metaphysical categories begins to crumble. This second title in the 'Law and the Senses' series explores law using taste as a conceptual and ontological category able to unsettle legal certainties, and a promising tool whereby to investigate the materiality of law's relation to the world. For what else is law's reduction of the world into legal categories, if not law's ingesting the world by tasting it, and emitting moral and legal judgements accordingly? 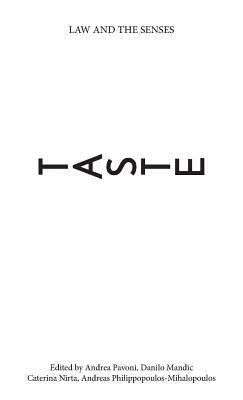 Through various topics including coffee, wine, craft cider and Japanese knotweed, this volume explores the normativities that shape the way taste is felt and categorised, within and beyond subjective, phenomenological and human dimensions. The result is an original interdisciplinary volume - complete with seven speculative 'recipes' - dedicated to a rarely explored intersection, with contributions from artists, legal academics, philosophers, anthropologists and sociologists.